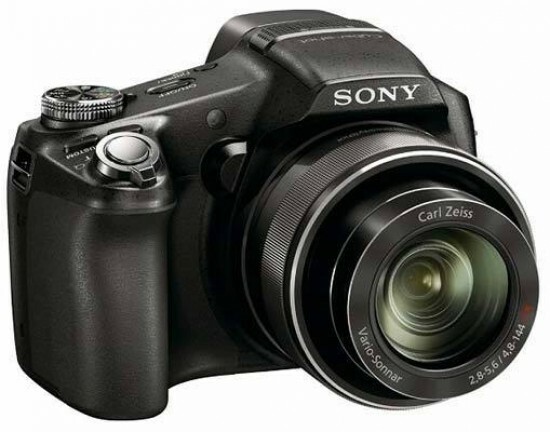 The Sony CyberShot DSC-HX100V is one of the best super-zoom camera that we've ever reviewed, offering a compelling mix of advanced features, excellent still image quality, fantastic lens and a class-leading video mode, all at a price that is competitive with its main rivals. The move to a 16 megapixel sensor may elicit groans amongst more experienced photographers, but in reality Sony have been able to maintain the excellent image quality that the previous 9 megapixel HX1 offered. The 16 megapixel backlit sensor provides excellent results from ISO 100-800, with only the fastest settings of 1600 and 3200 suffering from too much noise and smearing of fine detail. Chromatic aberrations are well controlled and colours accurate, and the incredible 27-810mm lens remarkably doesn't suffer from too much distortion at either end of the zoom range. In addition to the excellent still images, the Sony HX100V is one of very few digital compacts to offer full 1080p video recording, gaining the upper hand on its key rivals. You can use the 30x zoom during recording, sound is stereo rather than mono, and the AVCHD format ensures that file sizes don't get out of control, although regrettably there is no manual control available during filming. The built-in GPS also works well, unobtrusively and reliably recording your every movement, although the camera takes a few minutes to sync with one or more satellites and the battery life is reduced by around 25% if you leave it constantly switched on. The full range of manual, aperture and shutter priority modes and the intuitive focus/zoom ring means that the HX100V can rival a DSLR in terms of its handling, although the lack of a RAW mode and the non-rotating LCD screen may put off some more demanding users. The Hand-held Twilight mode delivers great results at night, albeit with an increase in noise levels, and Sony's ever popular Sweep Panorama mode now offers an impressive 42.9 megapixel high resolution mode. The Backlight Correction HDR feature dramatically increases the detail in the shadow and highlight areas, while Sony's excellent hand-holding Intelligent Auto modes are as effective as the competition's. Add in the 3D Sweep Panoramas and 3D Still Images, amazing 10fps burst shooting mode and 0.1 second auto-focusing, and it's very easy for us to highly recommend the Sony CyberShot DSC-HX100V as an all-in-one, do-it-all camera that won't break the bank.